Who doesn’t love tortillas? After all, they’re one of Mexico’s most emblematic foods. In fact, they’re essential for several Mexican dishes, including the world-famous taco. What you may not know is that tortillas can be used in a variety of simple dishes that you can eat every day, just like people in Mexico do. Then keep reading and find out what to make with tortillas. What To Make With Tortillas? This dish is particularly popular with children and adults alike and it can be modified to fit those watching their figure, which makes it a perfect dish for a late Sunday morning. The best thing about this dish? It’s super easy to make! 1. Grab a large pan (read more: Red Copper Pan Reviews) and set it to high heat. 2. While you wait for it to heat, chop your tortillas in pieces using a sharp knife. For optimal results each piece should be no bigger than your thumb. 3. Coat your pan or griddle with oil and add the tortilla pieces. 4. Fry the tortillas until they’re somewhat crunchy, stirring from time to time to coat them in oil and to keep them from sticking. 5. 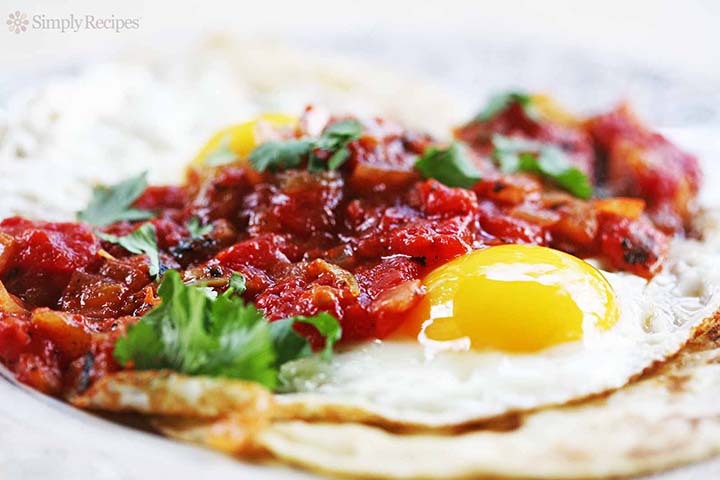 While the tortillas fry, mix your eggs in a deep bowl and season to taste. 6. 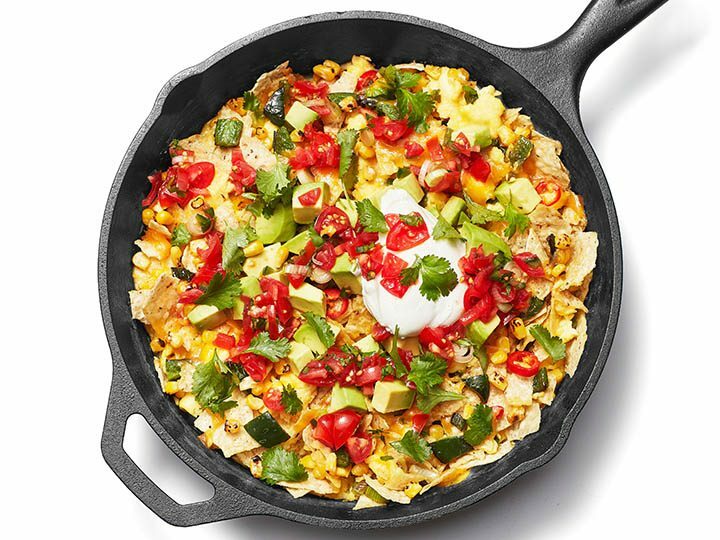 Pour the egg mix into the pan with the tortilla chips, add more oil if necessary. 7. Cook just as you would scrambled eggs and serve when ready. You can add salsa once the eggs are ready or even mayo, if you’re not a big fan of spicy food. If you’re looking for a way to cut calories while cooking this, you can use egg whites instead of whole eggs. Just remember to use more eggs or less tortillas. Do you know ‘eggs in the basket’? Well, this is a similar recipe except you’ll be using tortilla instead of bread. This is an excellent option for those who like their eggs runny or for those who simply don’t like scrambled eggs. While not necessary, I suggest using either two large pans or a large griddle for cooking this, as it will save you time while ensuring your breakfast is piping hot before eating it. 1. Heat up both pans, one to high heat and the other to medium high. Coat with oil once hot. 2. Fry an egg on the medium heat pan, sunny side up. Leaving the center runny. 3. Fry a tortilla on the high heat pan. First on one side, then on the other. You’ll know it’s time to turn the tortilla when it begins to swell slightly. 4. Once the tortilla is ready, place it on a plate and put the fried egg on top. 5. Repeat the process as many times as needed. If you want, you can add a thin slice of ham between the tortilla and the egg, just make sure to either fry it or heat it up beforehand so it isn’t cold when it’s time to eat it. A popular Mexican dish (called ‘H﻿﻿uevos Div﻿﻿orciados') follows this exact same recipe except it garnishes the eggs with both red and green sauce, one for each egg. You can eat the eggs on their own but I suggest you eat them with a side of refried beans for maximum enjoyment. There’s no easy way to translate this dish so I won’t even try. Sincronizadas are similar to quesadillas but much, much tastier and something children will absolutely love. You should be able to find the tortillas and the quesillo in the latino / Mexican section of your supermarket. If you’re unable to find quesillo, you can cook this using only sliced cheese. 1. If you were able to find quesillo, the first thing you need to do is pull it apart just like string cheese. Use as much as you want, just remember it might not melt properly if you’re using tons of it. 2. Assemble your ‘sincronizada’ just as you would assemble a sandwich. 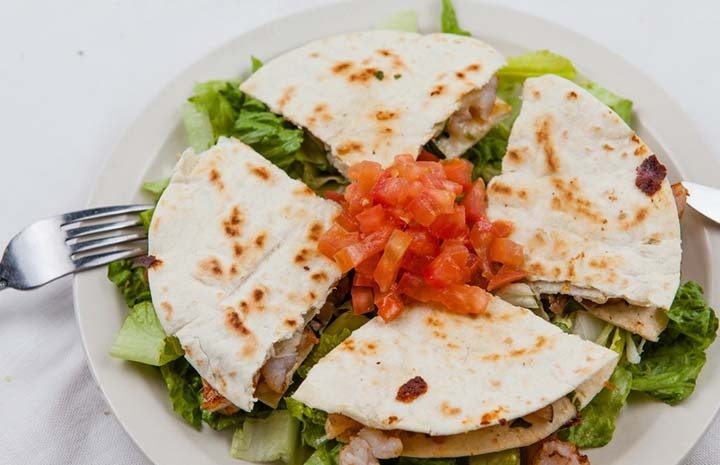 Place a flour tortilla at the bottom, followed by quesillo, ham, a cheese slice and another flour tortilla. 3. Set your sincronizada on your pan and griddle and wait for the chee﻿﻿se to melt, carefully flipping it to the other side from time to time to avoid burning. 4. 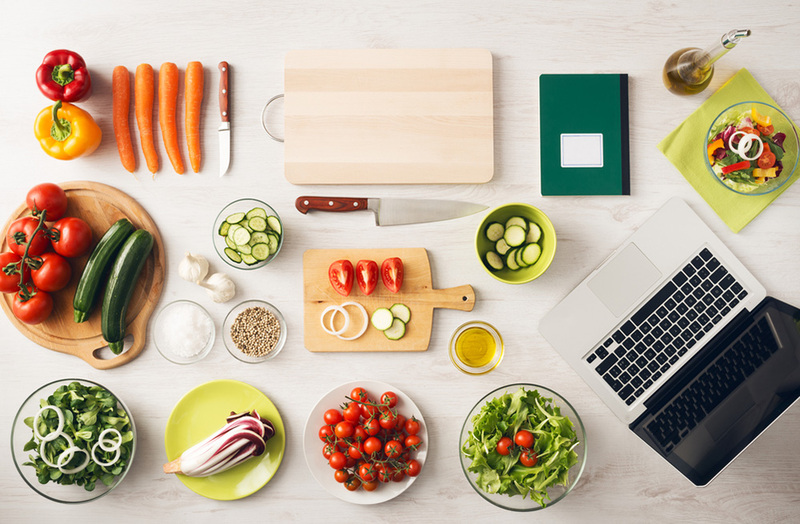 If you have a panini press or a similar appliance you can cut your cooking time in half by using that instead of a pan or griddle. 5. Serve once ready and slice in half for easier eating. Some people will add chipotle or other kinds of salsa to the inside of their sincronizada but that’s entirely optional. Flour ﻿﻿tortillas tend to brown quickly but don’t worry, brown tortillas aren’t burnt tortillas. You should only worry if they’re turning black. Careful when eating these, as they’ll be quite hot! 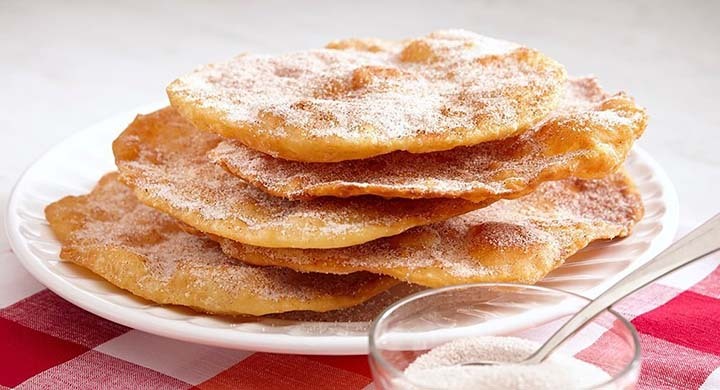 Buñuelos are a traditional Mexican dessert often made around Christmas or for posadas. This delicious dish is more often made out of fried dough but you can make your own using flour tortillas. 1. Mix the sugar and the cinnamon on a flat plate. 2. Pour enough oil in a p﻿﻿an to cover it completely. Fill it about half an inch, then set it up at medium heat. 3. Submerge a tortilla in fresh water for around 2 minutes or until it’s soft without the risk of breaking. 4. Take out the tortilla, let the water drip and coat it thoroughly with the sugar and cinnamon mixture. 5. Add butter or margarine to the hot oil. I use half a teaspoon but it’s to taste. 6. Place the tortilla in the oil until it starts to puff, then turn it and leave it there until it starts to brown. 7. Carefully take out the tortilla and remove the excess oil with a paper towel. 8. Repeat the process with each tortilla. Buñuelos are often enjoyed with ‘piloncillo’ honey, which is brown sugar based honey. You might not be able to find this in your city but feel free to try with other kinds of honey for even more delicious results. There you have the answer! 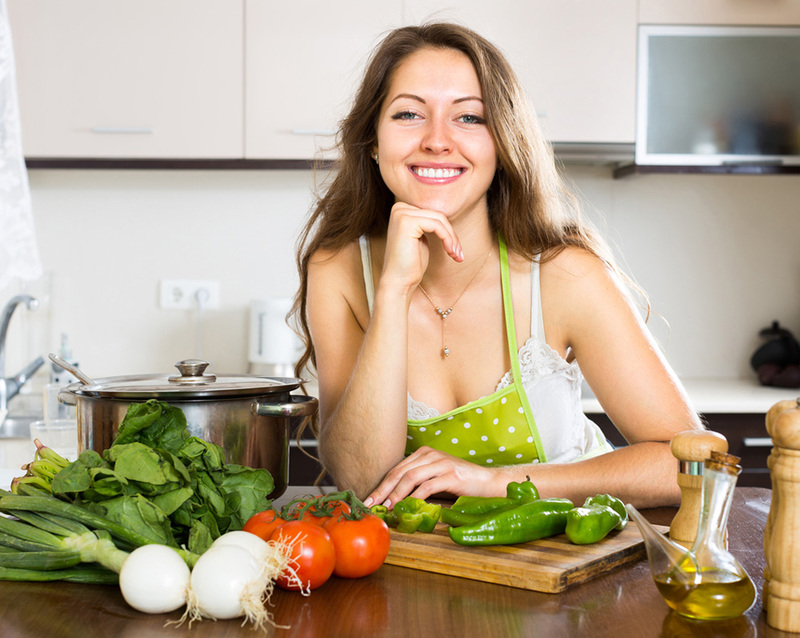 You now know 4 recipes –2 for breakfast, 1 for lunch and 1 for dessert– that are commonly eaten in Mexico so next time someone says they’re in the mood for ‘real Mexican food’ surprise them with these recipes! Did you enjoy the article? Is there another recipe to cook with tortillas we should include? Do you have any questions? Leave a comment! Thanks for reading.